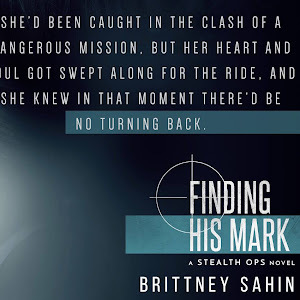 Same blurb. Six different stories. 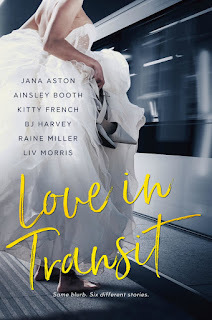 Coming June 1: LOVE IN TRANSIT. 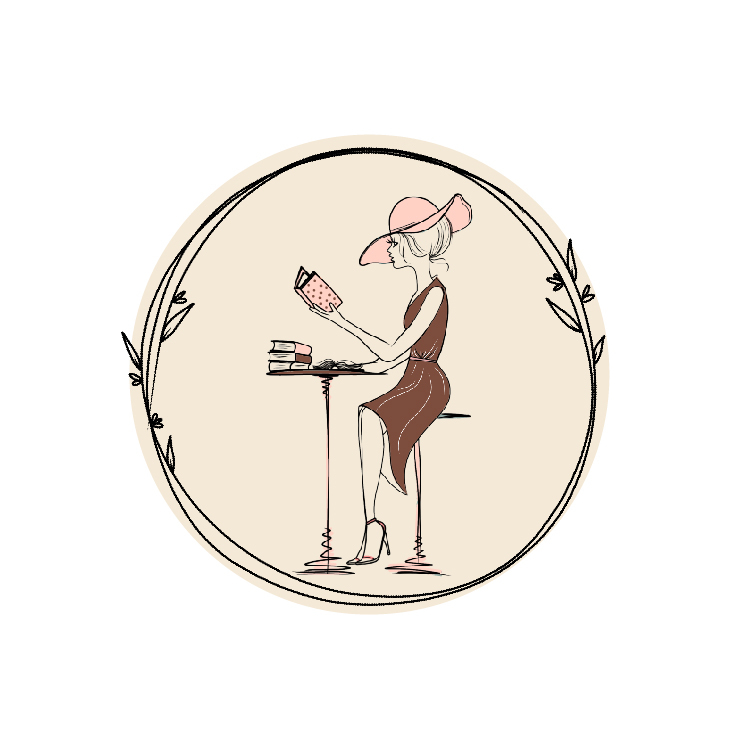 What if you gave a group of authors one blurb, and with no further instructions asked them to write that story? 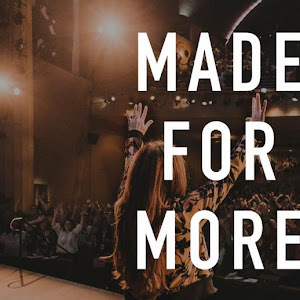 That’s what Jana Aston did! 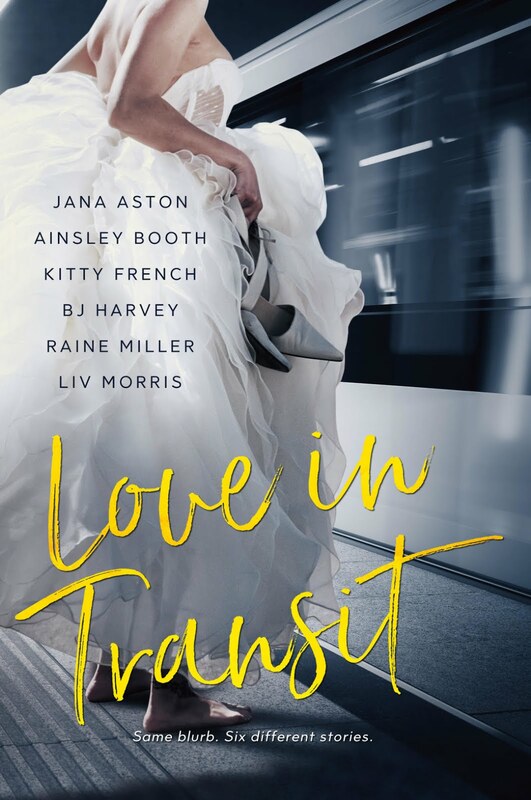 LOVE IN TRANSIT features stories from Jana and five of her favorite authors: Raine Miller, Kitty French, Ainsley Booth, BJ Harvey, and Liv Morris. 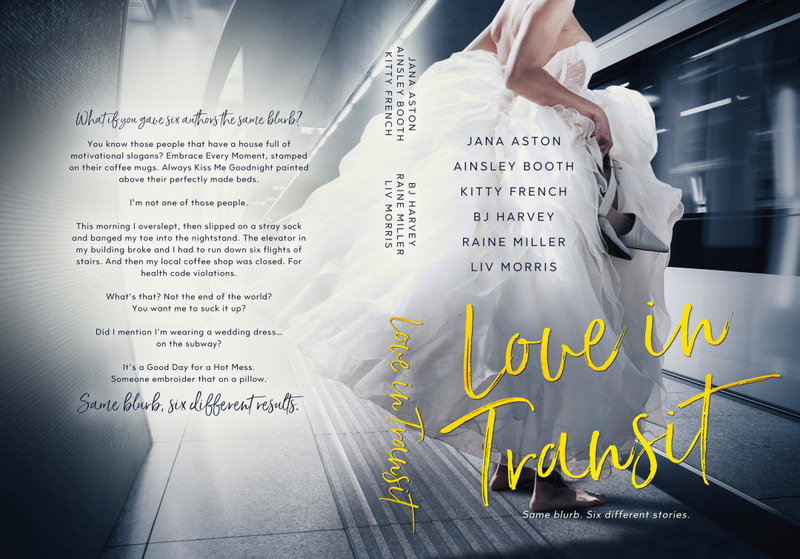 LOVE IN TRANSIT will publish in ebook and paperback formats June 1 and will only be available until August 31! Did I mention I’m wearing a wedding dress…on the subway?